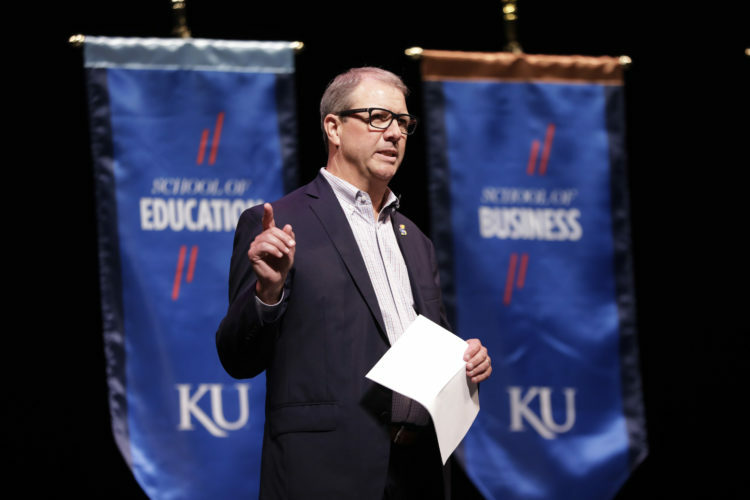 As a federal corruption trial has made new allegations regarding the recruiting practices of the University of Kansas, Chancellor Douglas Girod won’t say whether he still has “complete confidence” in the university’s staff to follow recruiting rules. The trial underway in New York also has brought forward new information that raises questions of what Girod knew about potential recruiting violations and when he knew it. 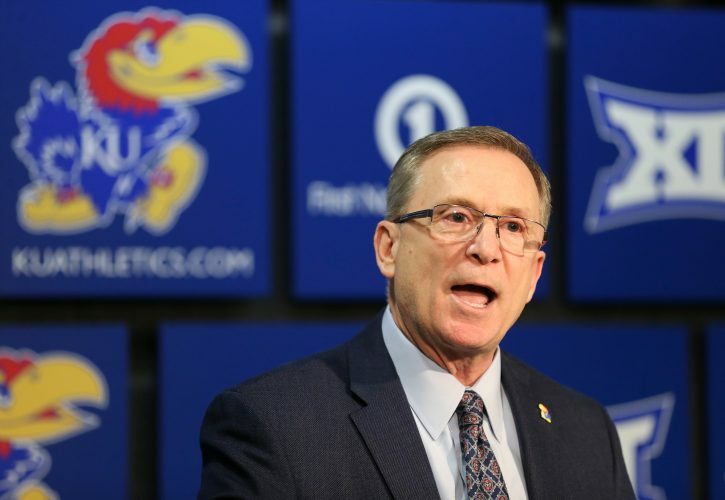 In April, Girod expressed “complete confidence” in the athletic department’s adherence to rules and also said the university had found no evidence of violations related to any KU recruit. But an attorney in the federal fraud trial this week said KU, months before Girod’s statement, had found evidence of questionable wire transfers to the mother of then-KU basketball player Billy Preston. The Journal-World this week asked Girod’s office to clarify his April remarks given the new information presented at trial. Among other questions, the Journal-World specifically asked Girod via email whether he continued to have “complete confidence” in the athletic department’s adherence to rules. Joe Monaco, a spokesman for the chancellor, said “it was not appropriate for the university to comment while legal proceedings are ongoing.” That seemingly is a change in position for the chancellor. Legal proceedings were underway in April when he expressed complete confidence. Legal proceedings have been publicly underway in the corruption case since at least Nov. 9 of last year, when indictments were handed down. Girod’s comments in April came just days after a second set of indictments were issued that specifically alleged a pair of KU players had received money to attend the school. Girod’s comments this week are significantly different from the outlook he offered in an April 23 interview with the Journal-World. In that April interview, Girod did not let on that KU had found any recruiting matters that would raise any red flags. “Retrospectively and certainly prospectively we do everything we can to ensure that no violations have occurred on a recruit we are recruiting. That doesn’t help anybody. That doesn’t help the athlete and it doesn’t help us,” Girod said in the April interview. But the federal trial for former Adidas employees Jim Gatto, Merl Code and business manager Christian Dawkins has shed new light on what KU allegedly discovered about payments made to KU basketball players. 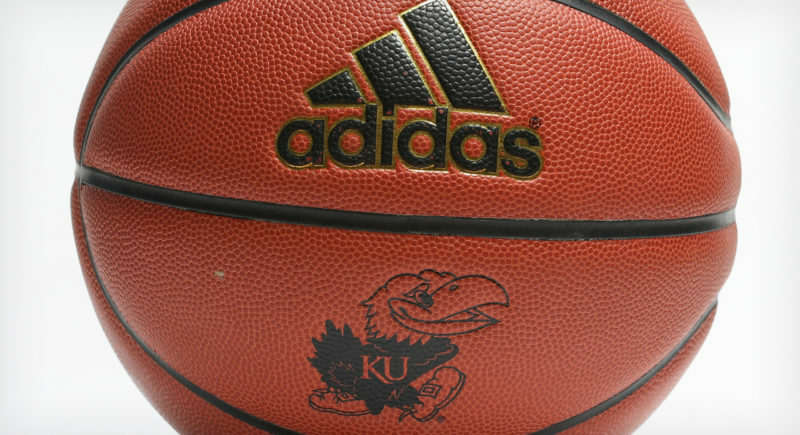 In court last week, Michael Schachter, an attorney for Gatto, said that KU discovered wire payments from recruiting fixer and Adidas consultant T.J. Gassnola to the mother of Billy Preston, according to multiple reports from the trial. Schachter said KU made that discovery while it was investigating the finances surrounding Preston’s vehicle. KU previously has acknowledged the investigation of the vehicle took place between early November and late December of 2017. 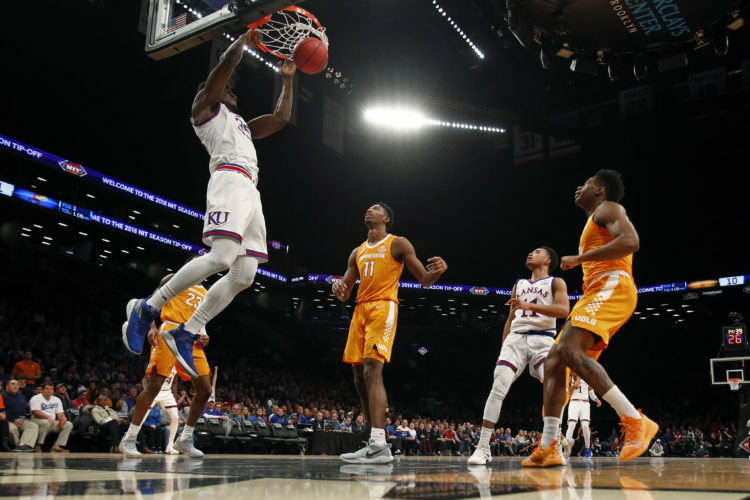 Gassnola, who already has pleaded guilty to one wire fraud count in connection with the basketball scheme, testified under oath that he also had become aware KU had discovered the payments, according to multiple reports from the trial. Gassnola testified that in November 2017 he had his lawyer send a letter to KU stating that Preston’s mother was not paid as part of the recruiting process. Gassnola acknowledged in court that letter was a lie. The Journal-World this week questioned Girod about what he meant in April when he said the school couldn’t find “any evidence” of violations related to KU recruits. The Journal-World specifically asked whether Girod knew in April that KU had found, months earlier, evidence of wire transfers to Preston’s mother, and that Gassnola was tied to the recruitment of Preston. Already in April, Gassnola was being mentioned in media reports as a key figure in the alleged recruiting conspiracy. Monaco also responded to those questions by saying it would be inappropriate for the university to comment while legal proceedings were ongoing. Girod’s April comments came at a time when the university was defending its decision to not hire a third party to conduct a review of the athletic department following a new federal indictment that alleged the guardians or families of two KU basketball players had been paid to attend the school. Instead, KU said it already had examined its athletic department after the federal basketball corruption investigation became public with the unsealing of a criminal complaint on Sept. 26, 2017. The NCAA mandated all Division I basketball programs to conduct a review of their compliance operations shortly after the federal case became public. KU hired an Overland Park law firm to assist with the technical details of that review. But upon further questioning by the Journal-World, KU acknowledged that the review did not produce any written report of its findings. Girod stood by that statement during the April 23 interview and made at least two other statements indicating that the university’s review had not turned up anything troubling. • A recorded phone conversation between KU assistant Coach Kurtis Townsend and Code, a former Adidas employee who is now on trial. In the conversation, the two men discuss basketball recruit Zion Williamson’s apparent demands to be paid. Townsend makes statements that could be interpreted as supportive of the idea. • Phone records indicating at least one phone call between KU head coach Bill Self and Gatto. • Phone records indicating at least one phone call between Self and Gassnola. • Multiple text messages between Self and Gassnola, including some where Self is asking about the conversations Gassnola had with the guardian of then-recruit Silvio De Sousa. • Multiple text messages between Townsend and Gassnola, including some where Townsend asks Gassnola to reach out to De Sousa’s guardian. 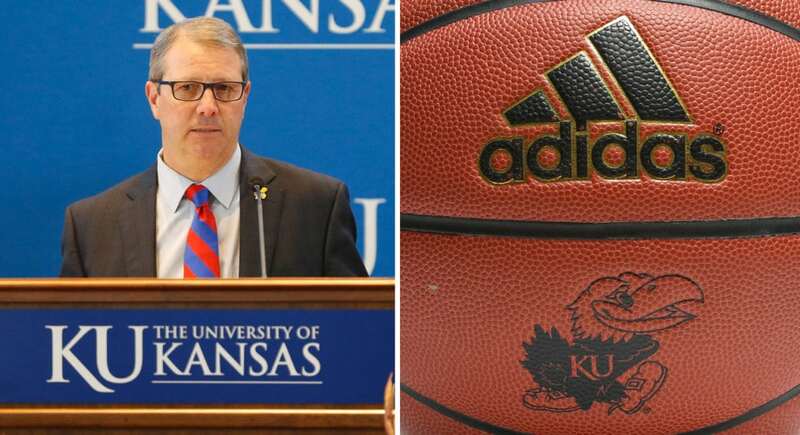 The Journal-World this week asked the chancellor’s office whether KU’s review of the athletic department included looking at the phones of the coaching staff and others to determine contacts they had made with Adidas officials. Again, KU’s spokesman declined to comment.